We have been seeing some great freebie weekends and demos go live this year from AAA developers including the likes of Mafia 3, Elder Scrolls Online, For Honor and more. While many of these are likely just part of marketing strategies to bring new players to the game post-release, anytime we can get some free content on PS4 and Xbox One it is a good thing. Having said that, today we have a nice free demo coming for Sony’s new flagship racing title: Gran Turismo Sport. Gran Turismo has always been known for its stellar emulations of real-world vehicles, licensed from some of the biggest names in the business. It has been a staple on Sony hardware for over 20 years now with more than 76 million units sold. It first hit the track back in 1997 and has appeared on every major PlayStation hardware release since then. GT Sport, which is set for release in just under two weeks, will be free-to-play starting this weekend for a limited time. Sony and developer Polyphony Digital are offering a free 4-day demo for GT Sport starting October 9th at 9:00pm ET until the 12th at 11:00am ET. However, those of you with a PS Plus membership will be able to pre-load the game starting on October 7th and have access to the demo a few hours earlier. As expected, all of your progress including the in-game currency you have accumulated (up to $1 million) and the vehicles you have unlocked will all transfer over to the full game should you choose to buy it. The demo will feature a taste of the game’s main modes including Sport, Arcade and a look at the full Campaign. In Sport mode you can expect timed, qualifying laps in order to gauge your level of performance on the track followed by an “all-out battle against other drivers” in your class. On top of the classic local 2-player split screen races, Arcade mode allows you to jump in and get driving across a “wide-range” of vehicles on what sounds like three different circuit configurations/terrains. The True HDR workflow and physics-based rendering tech of Scapes must be experienced firsthand to be truly appreciated. 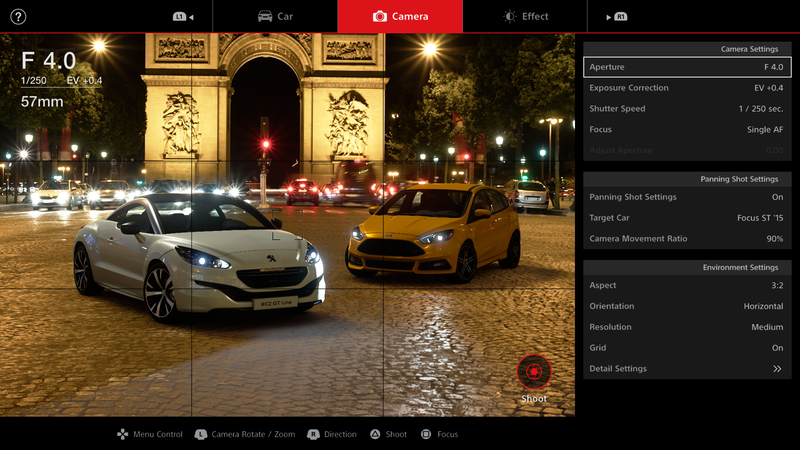 This is not your traditional photo mode as each photo location contains all the light energy information of that scene, enabling you to place your personalized car in hundreds of real world locations. While there are certainly some limitations to the experience in this demo, that is only to be expected with a free trial ahead of launch. This is definitely a great way to give the game a try before it releases if you’re on the fence about dropping down the cash for it. Gran Turismo Sport launches on October 17th and Amazon Prime members can still pre-order it for 20% off: $47.99 shipped (Reg. $60).